Interested in gliding across the pristine blue waters of the Caribbean this winter? 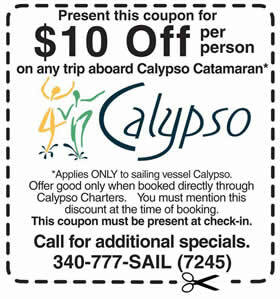 Then how about going on a tropical sailing adventure to round off your perfectly exhilarating vacation? 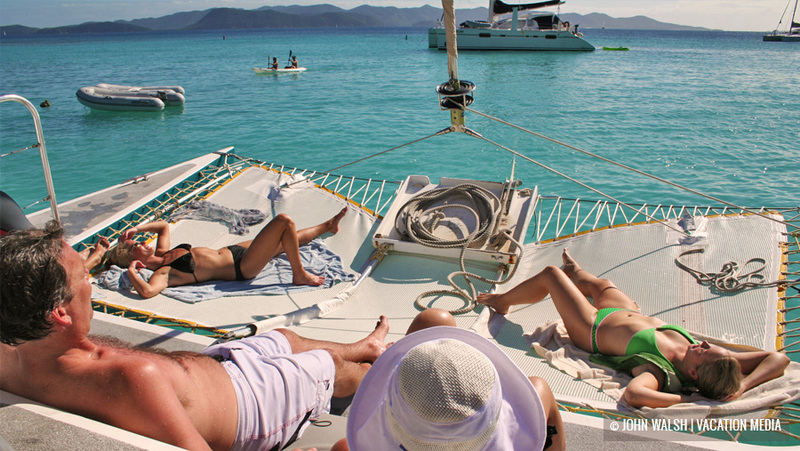 If this sounds fun, you should check out St. John, located in the U.S. Virgin Islands, for a great sailing experience. Whether you have never sailed before or if you just want to improve your technique, go ahead and hop on a guided sailing tour around and beyond of this exceptionally beautiful island paradise. For visitors like you who come to St. John looking to put in some hours on the breakers, there are plenty of sailing charters available and ready to serve the happy vacationer to this beautiful island. Unlike the more chaotic chartered sailing expeditions at other island resorts, the trips here go along with the general spirit of St. John itself; relaxed and fun. That’s why as a general rule of thumb the sailing charters do not try to fit more than six people on any given sail boat that goes out. Because of the intimate setting, vacationers really get their money’s worth when they get to go sailing with close friends under the auspices of professional – and personable – sailing staff. Really, the sail boat guides are quite responsive to what kind of adventure you and your friends want to have. For instance, if you happen to be someone who just loves to get involved, the sail boat guide will be more than happy to let you participate in making the boat fly through the sea – even if you have no experience whatsoever! That’s because St. John is home to some of the most amiable waters for beginning sailors. Spotted with sheltered bays, steady winds and calm water, the conditions for sailing around the island are ideal. However, if you are a vacationer who wishes to kick back and relax while at sea, without thinking at all about the sailing process, then you will also feel perfectly at home on the sail boat. For both the adventurer and the person who enjoys relaxing, there is nothing more ideal for you than a St. John sailing charter. For a great pair of charters can take you out on an exciting catamaran expedition, check out the Adventurer and Calypso charters, companies that are specially licensed to explore the secluded bays and protected reef beds of the National Park.